?Conditional Discharge – New Jersey: Is it for you? ?What Evidence Can Your Lawyer Use to Impeach the Credibility of a Witness? We all make mistakes. When your mistake lands you in jail, you need a criminal defense attorney who understands that you deserve a second chance. Alfonso Gambone protects the rights of those arrested for DUI/DWI, drug possession, and illegal firearm crimes so that they have the opportunity to get their lives back on track and face a brighter future. 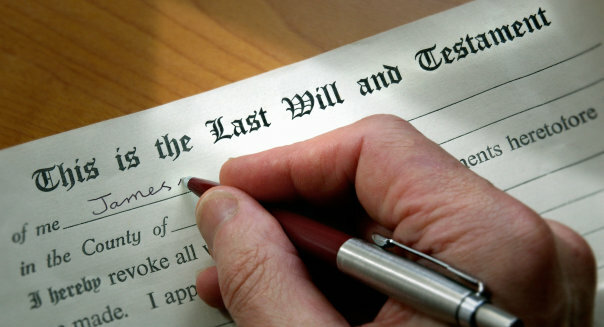 It seems that there is movement toward "do it yourself" estate planning. Online and Offline advertisment point to the cost of attorneys and the lack of a real need for professional guidance. This movement because people have been somehol led to believe that estate planning process is simply filling out forms and checking boxes. Unlike other areas of the law, there isn’t a judge or another attorney so why use a lawyer and spend all that money! Fill out some documents in the comfort of your home or office and if you don’t understand something call the “hotline” and speak to a real lawyer (maybe) for no additional charge! That hotline lawyer will probably answer your question but will that really end the issue? Did you miss a more serious issue? If you don’t understand the issue, you can’t ask the right questions even to the best attorney in the world. Estate planning is more than just filling out forms and you should expect more than that from your estate planning attorney. Every family’s situation is different regardless of the size of the estate. Money is only one issue in an estate plan. You need to be concerned with not only money but property ownership, property transfers, guardianship, long term care eligibility, and the quality of life of your survivors during your final years. If you believe that a product like Legal Zoom will provide guidance in all of those areas, be prepared for disappointment! A drunk driving conviction can have a serious effect on your future. You should not take any chances when faced with a DUI or DWI in Pennsylvania or New Jersey. An experienced defense attorney will examine all of the elements of your arrest and develop a strategy to reduce the charges or have them dismissed. Even if you feel that you have been caught “red-handed,” there may be a way to lessen the impact on your life. Don’t take on a DUI charge alone. Call Alfonso Gambone as soon as possible after your arrest. Whether it is your first arrest or your third, a DUI/DWI conviction can jeopardize your education, your career, and your standing in the community. There is no reason not to fight the charges in an attempt to protect your future. Mr. Gambone has defended many DUI cases in Pennsylvania and DWI charges in New Jersey, and he is prepared to put his efforts behind your case. Make an appointment at our Philadelphia office today. When you are arrested for drug possession in Pennsylvania or New Jersey, the consequences could be serious. You could be looking at a felony conviction and prison time that could jeopardize your entire future. It is important that you understand the charges and the potential outcomes you are facing. Speaking with an experienced drug crimes defense attorney should be your first step following an arrest. Alfonso Gambone knows the law and is committed to helping people charged with drug offenses understand their rights. He provides a wealth of information on his website about narcotics offenses in Pennsylvania and New Jersey and is happy to meet with you in person to discuss the details of your particular case. When you are facing an unlikely future, you need someone on your side who will defend your constitutional rights. Call Gambone Law today. Many of our gun possession clients were unaware that they were breaking the law in their ownership of a firearm or in the way they transported it. Unfortunately, the law caught up with them, and they are now facing felony charges. Don’t be caught by surprise. Visit our website and download our free books to learn more about the Uniform Firearms Act in Pennsylvania and the much more restrictive Graves Act in New Jersey. If you have already been arrested and charged with a gun crime, Gambone Law is the experienced law firm you need by your side. We defend our clients against gun charges in Pennsylvania and New Jersey and are eager to hear your story. Don’t leave your future to chance. Contact us today to learn more. Violent crimes in Pennsylvania, ranging from robbery and theft to homicide, all carry various degrees of categorization and punishment.